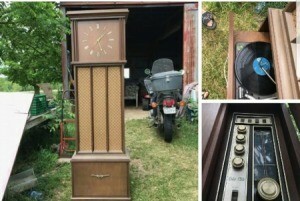 I would love if someone knew about this clock/radio/record player. All components are working. I am interested in the approximate value. 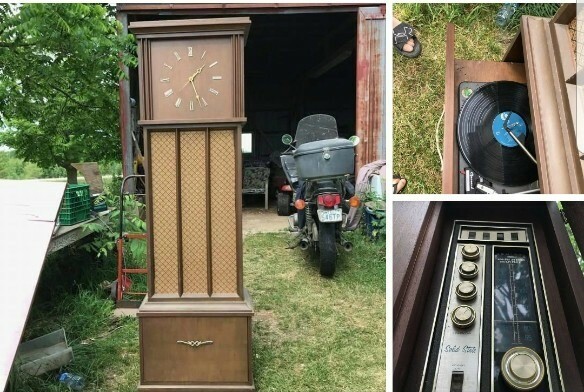 Clocks like this are around $450 on eBay. This is the asking price, not the selling price. WOW! I am not usually stumped by old stuff, but this one is so cool as I have never seen one like this! When this happens, I go to my other brain, Google and nothing. I am hoping cybergrannie or one of the other experts on this site can tell us more!!! 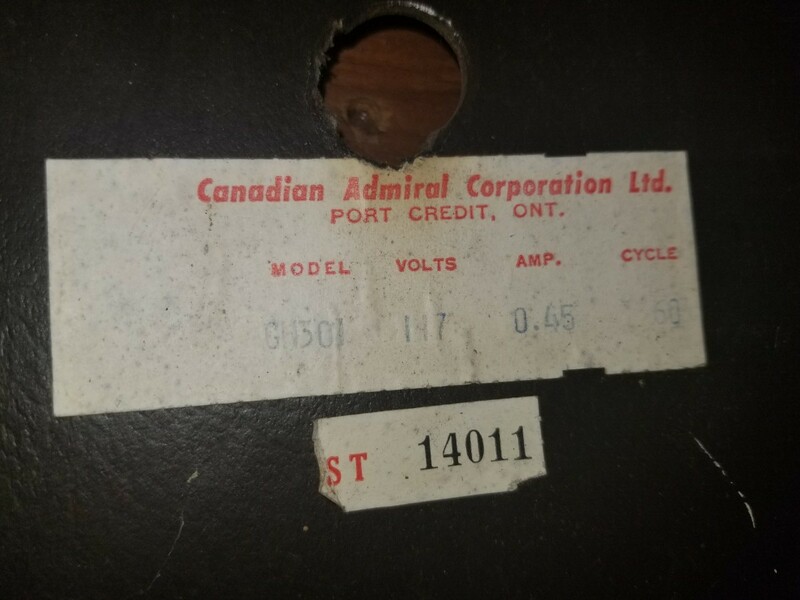 Usually the Admiral pieces are all over the place in value...usually low...but the occasional ringer. As I have never seen one like this, I am going to need to do some more digging to see what I can learn. Thanks for sharing it!! If you learn anything before someone on this site does, please share back!! This is a NEAT-O PIECE!! !